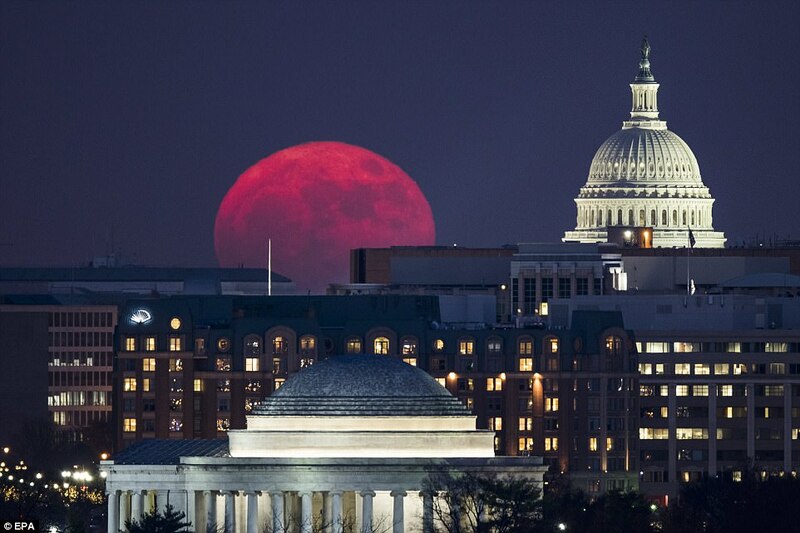 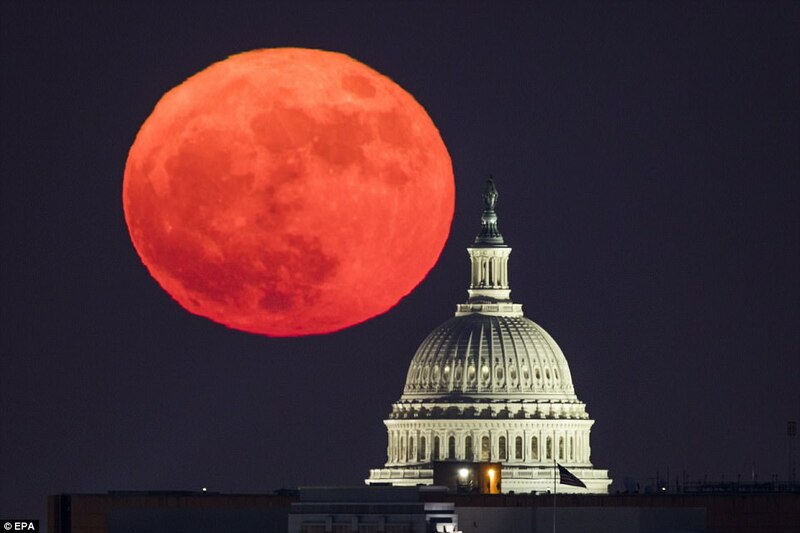 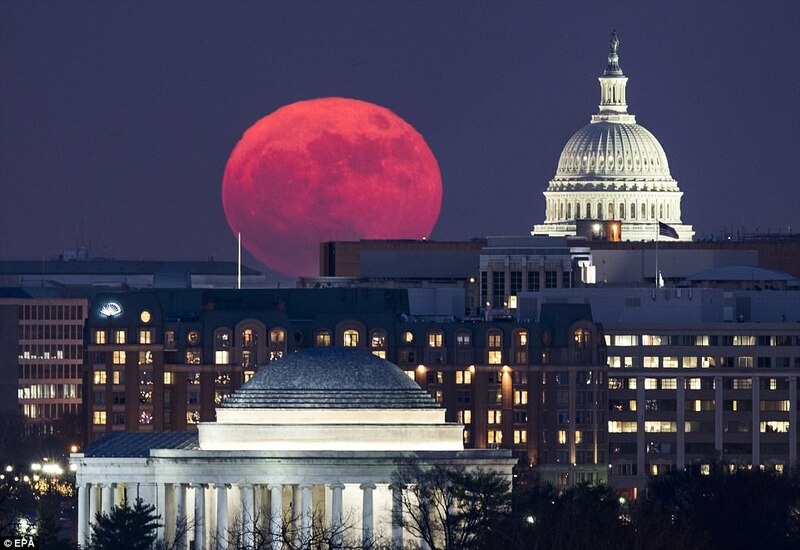 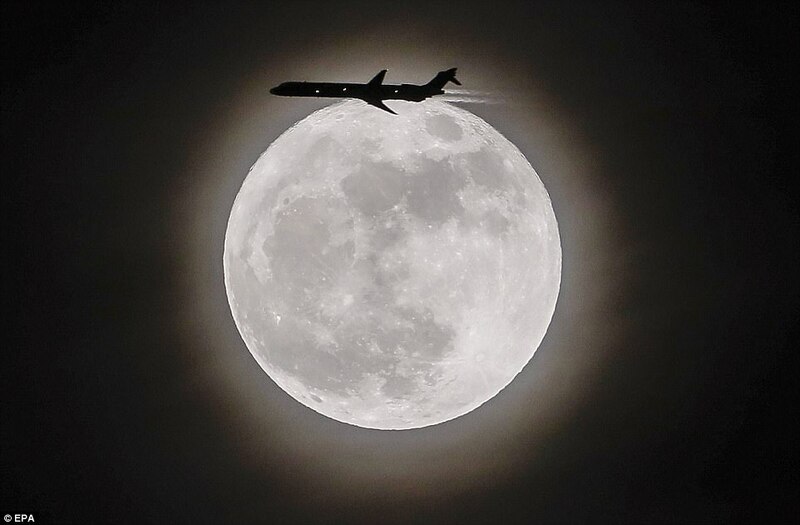 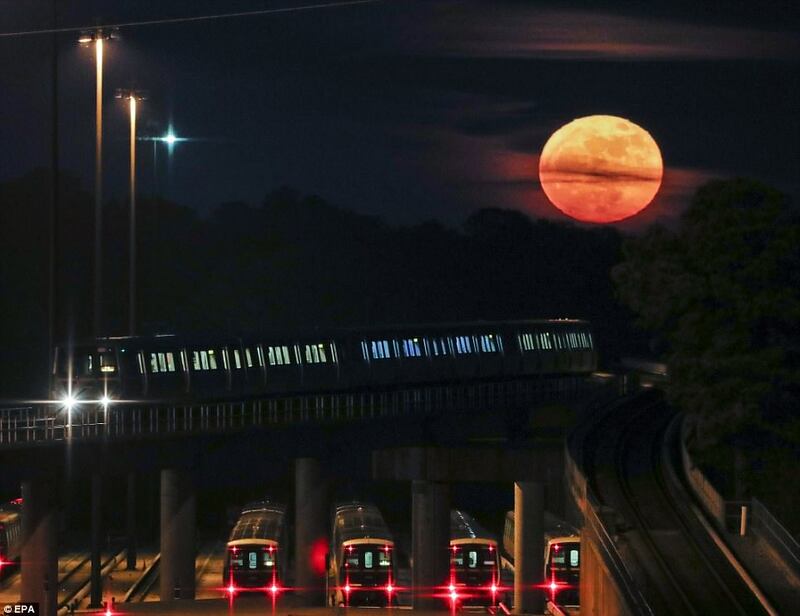 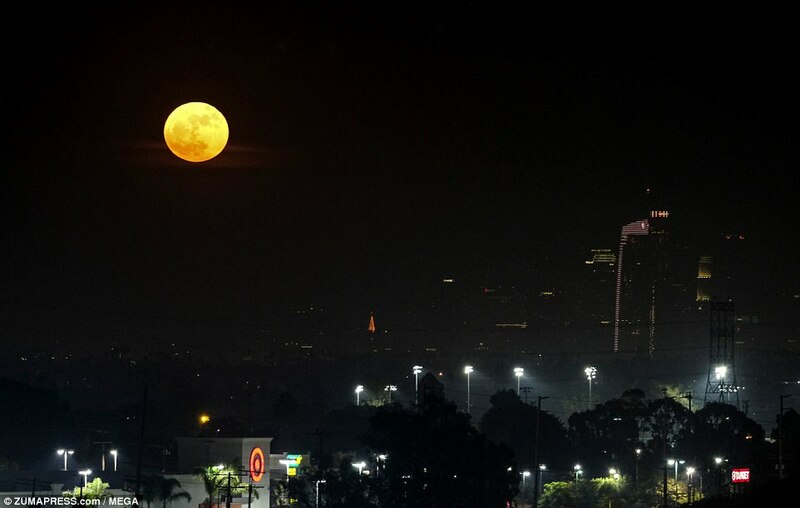 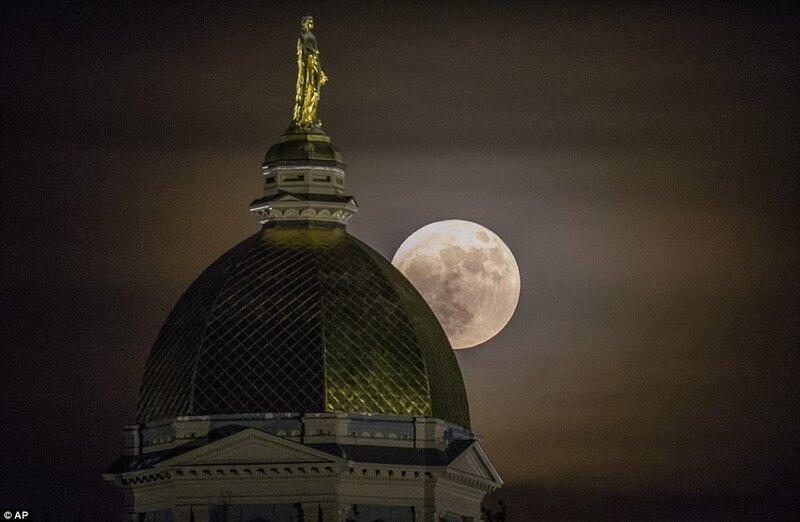 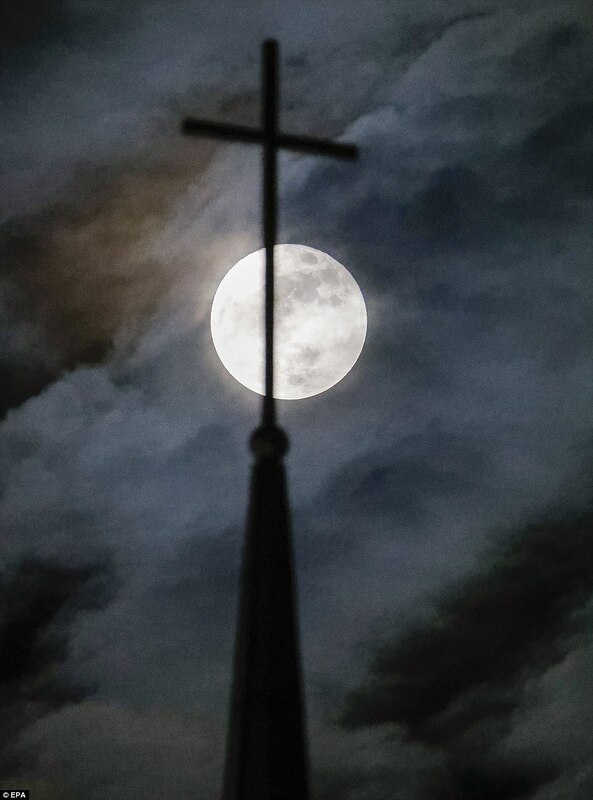 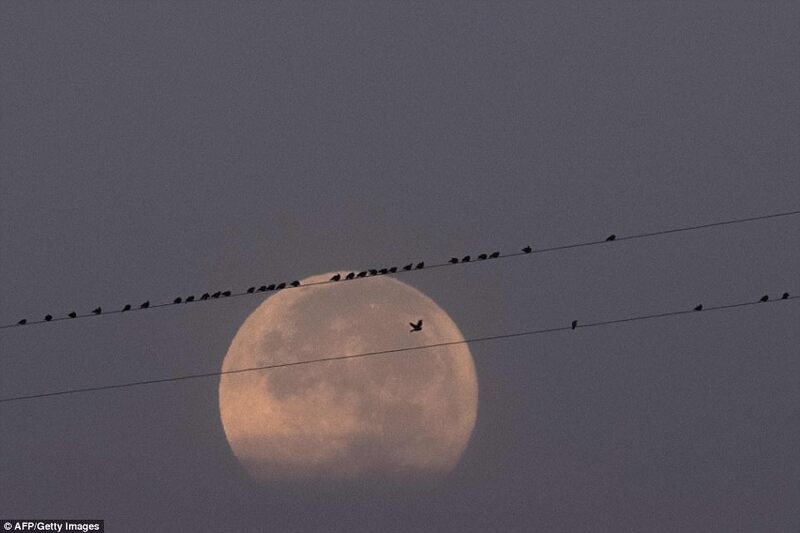 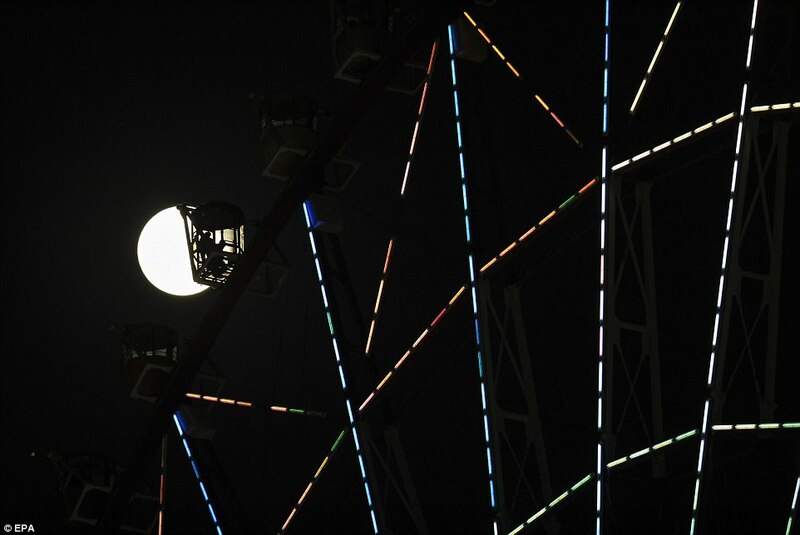 Breathtaking photographs captured in brightened night skies across the world showed the first of three consecutive supermoons to occur this winter - and the only one this year. 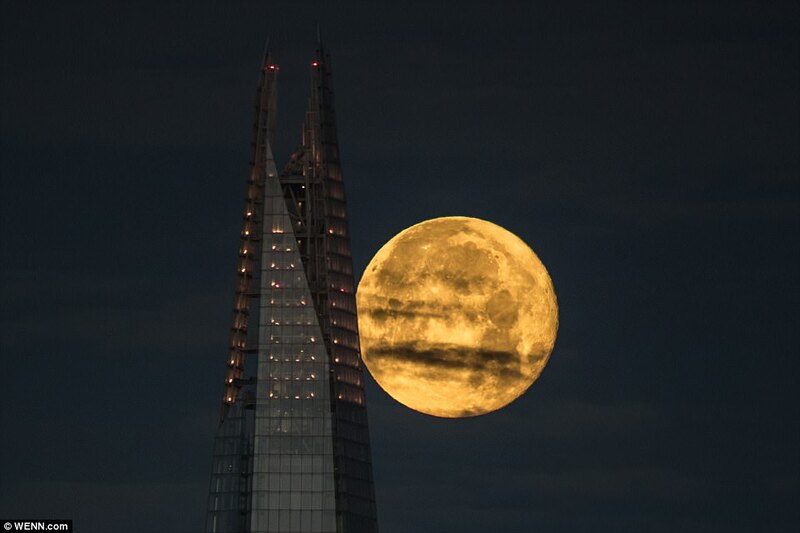 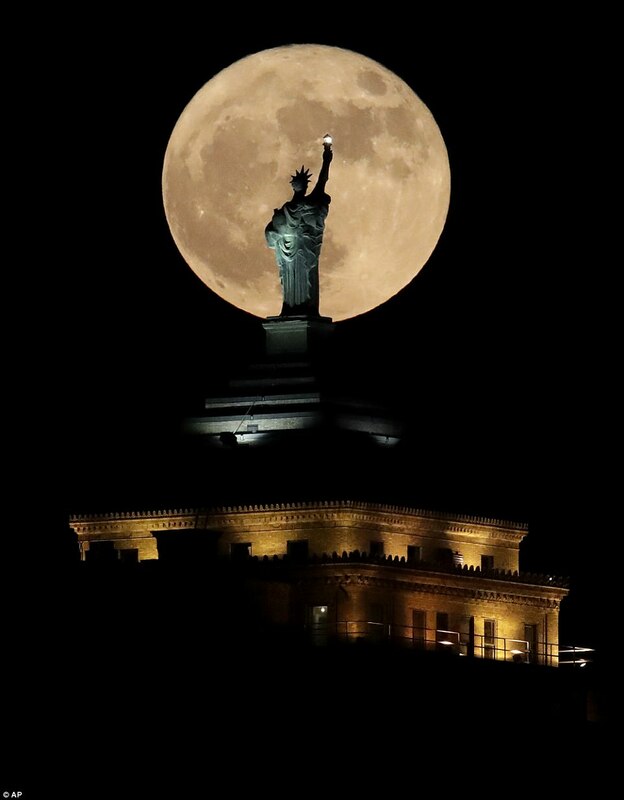 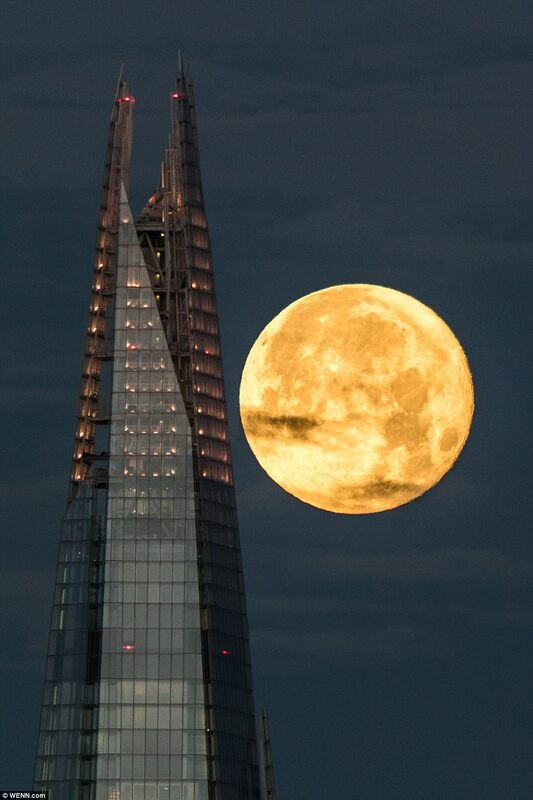 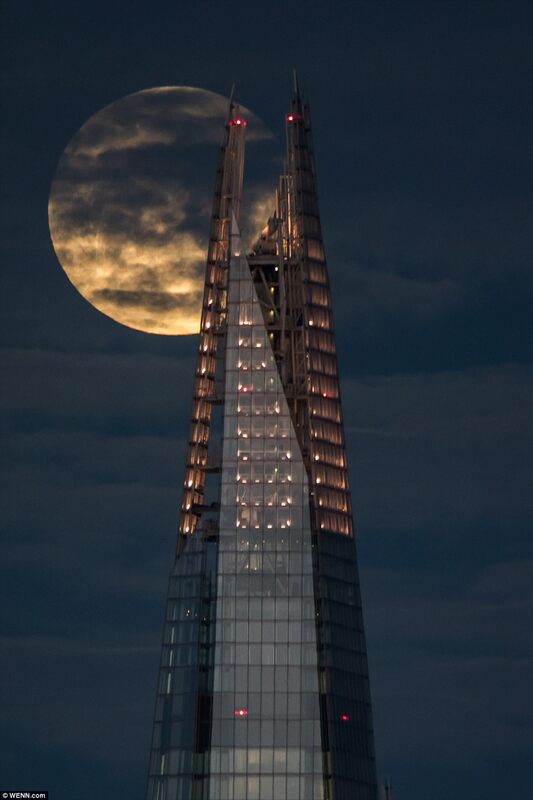 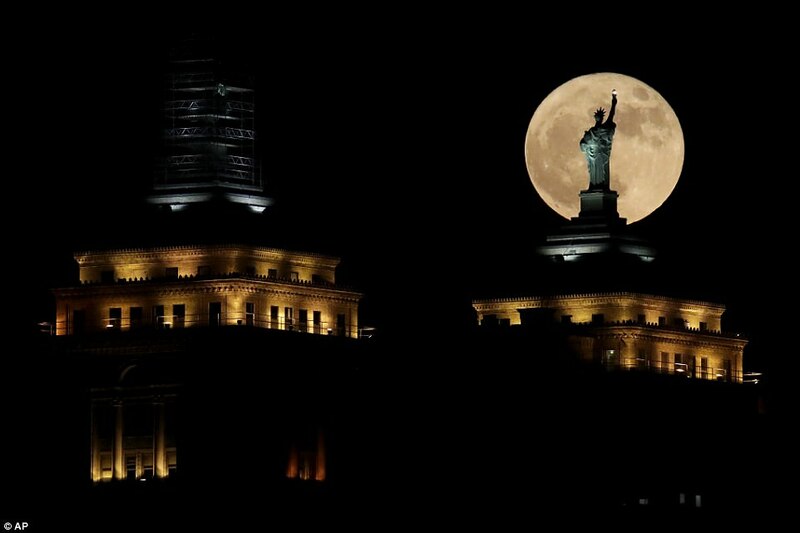 Last night's moon, dubbed the 'full cold moon', glowed behind historic national monuments and landmarks all over the world such as London's Shard and the Statue of Liberty in New York. 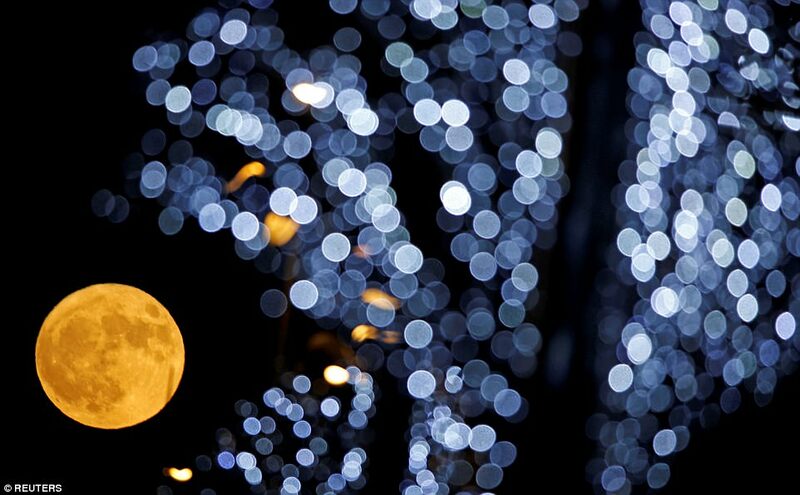 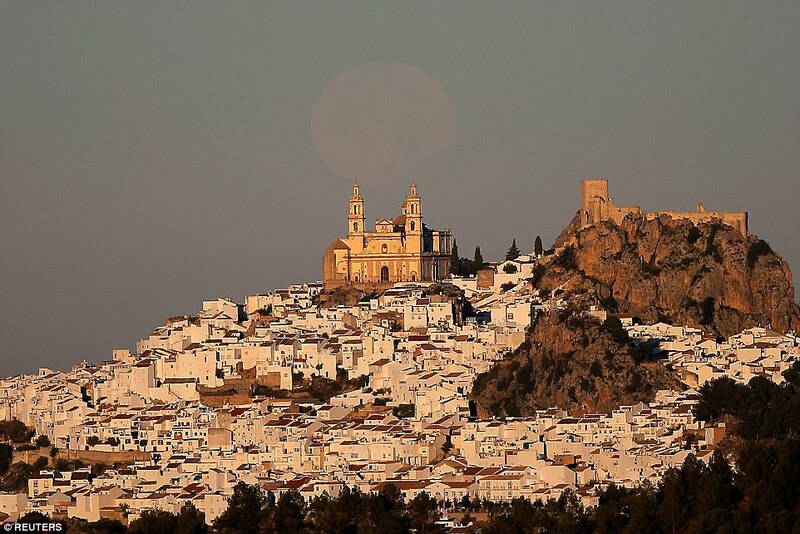 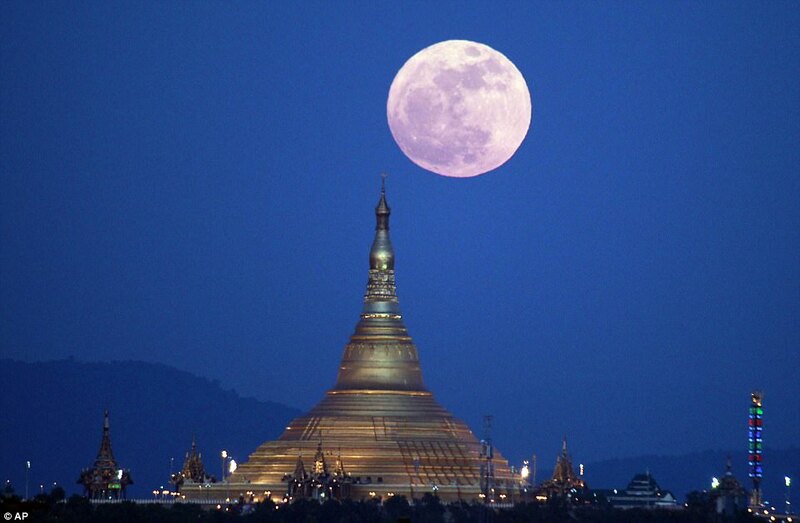 The Cold Moon appeared 14 per cent larger and 30 per cent brighter than usual across the planet. 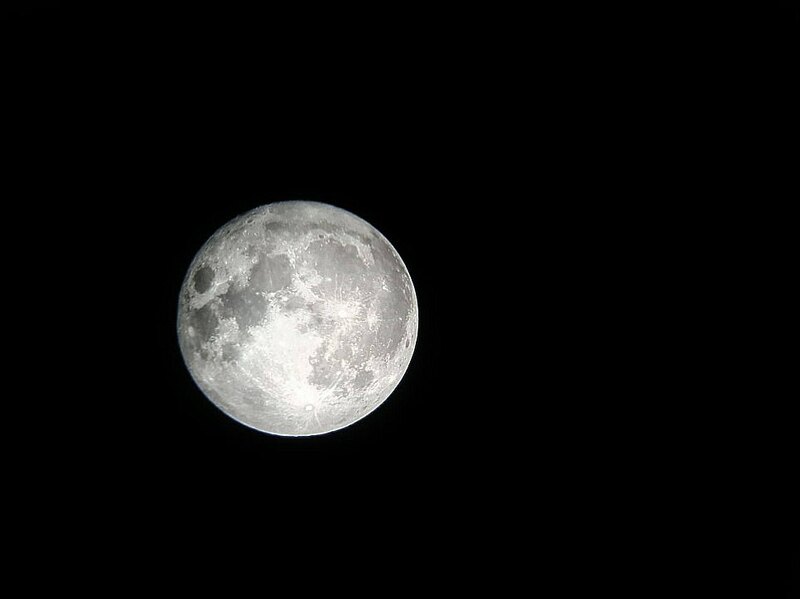 'Supermoons are a great opportunity for people to start looking at the moon, not just that once but every chance they have!' 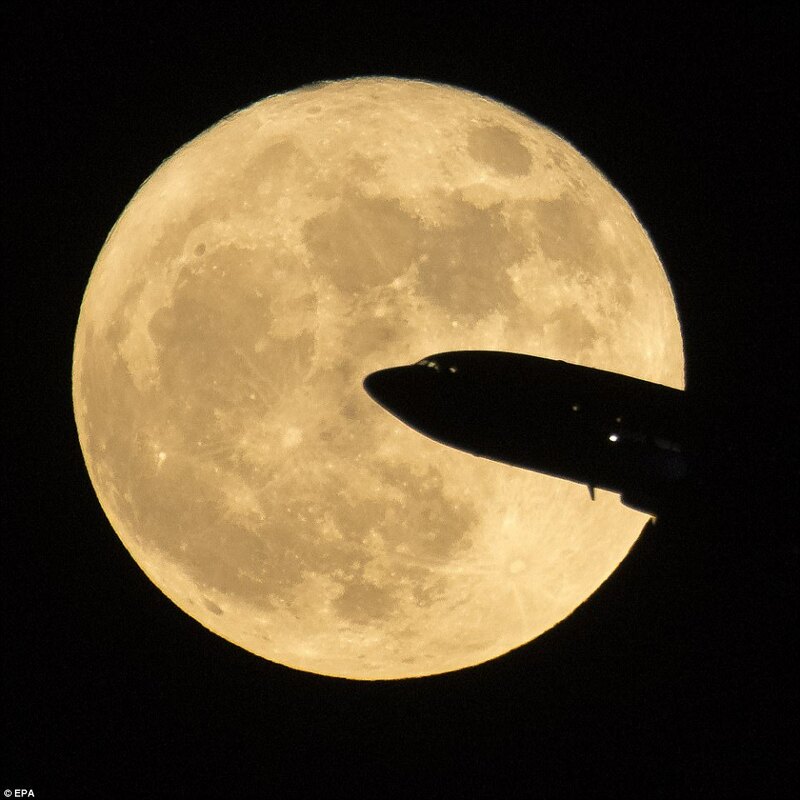 research scientist at Nasa's Goddard Space Flight Center, Noah Petro said. 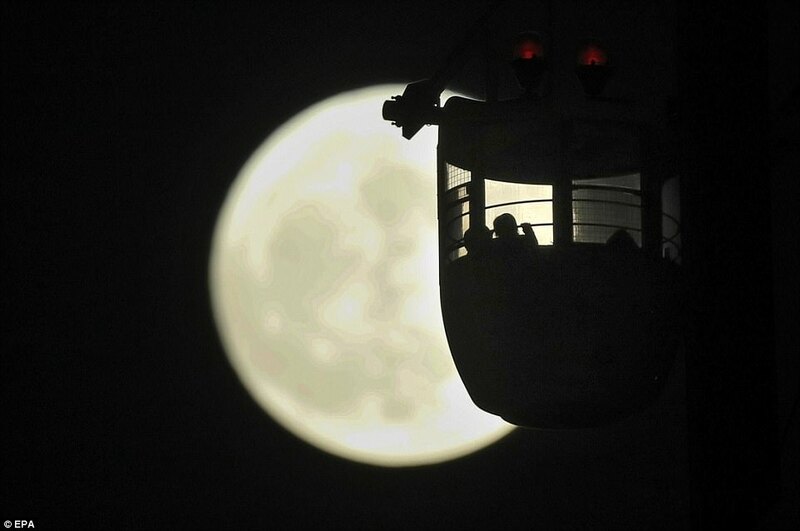 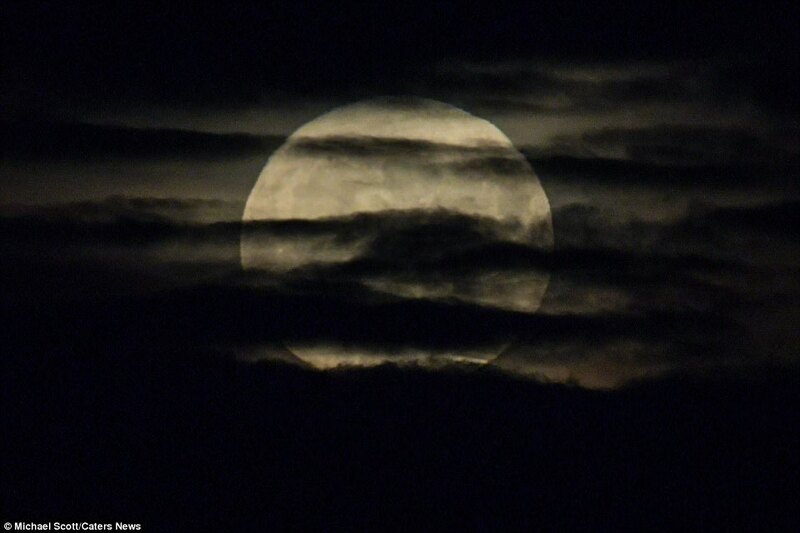 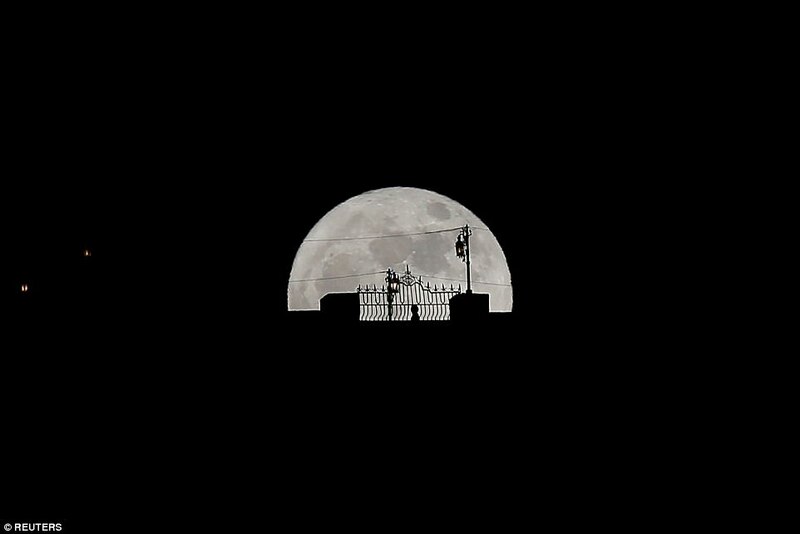 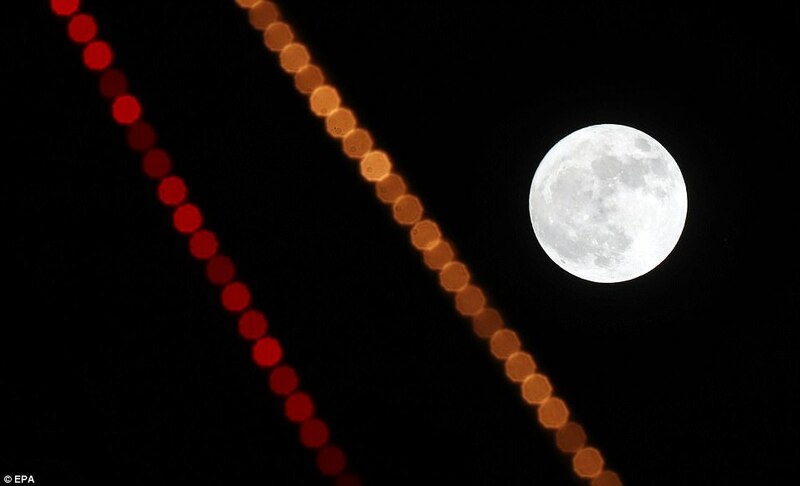 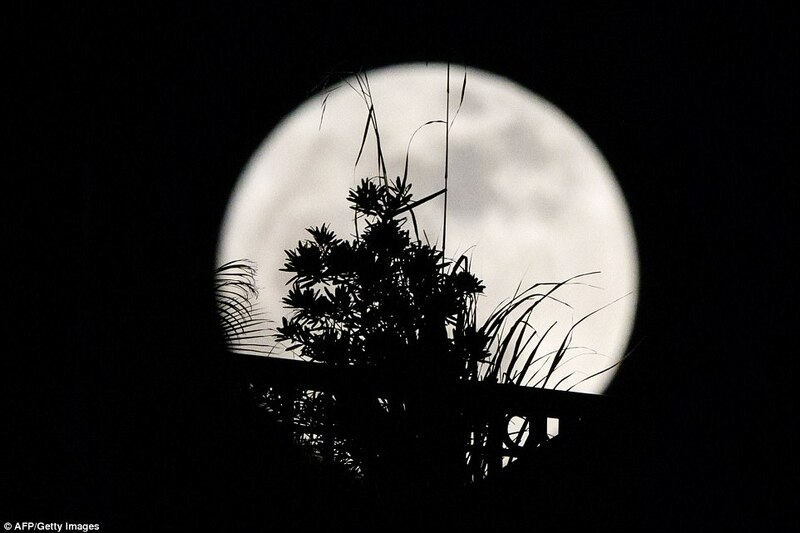 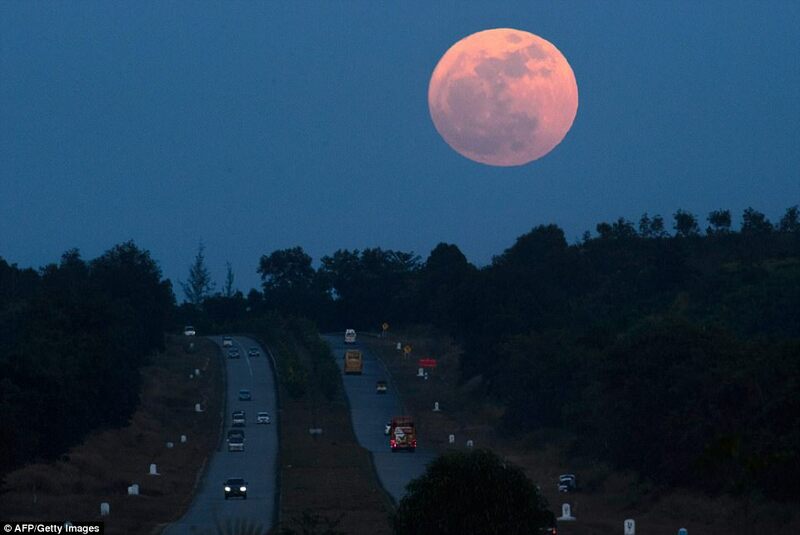 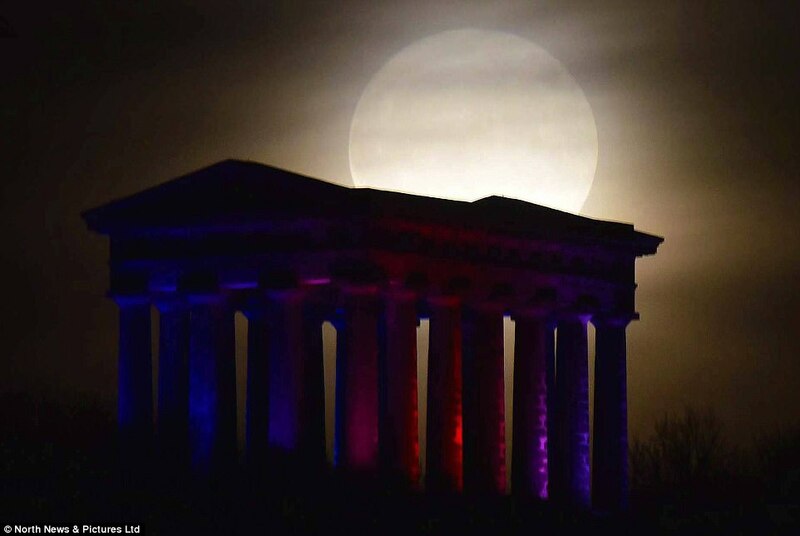 The supermoon made its spectacular appearance over Britain, giving skygazers a treat as it moves closer to Earth. 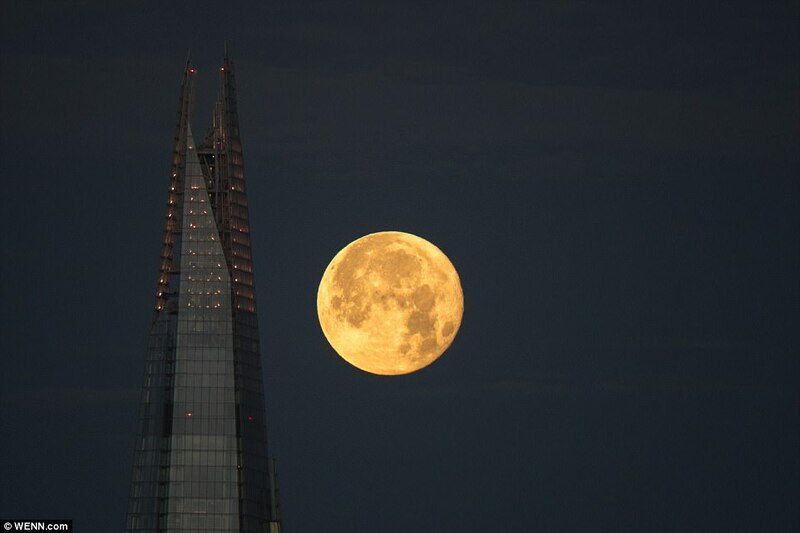 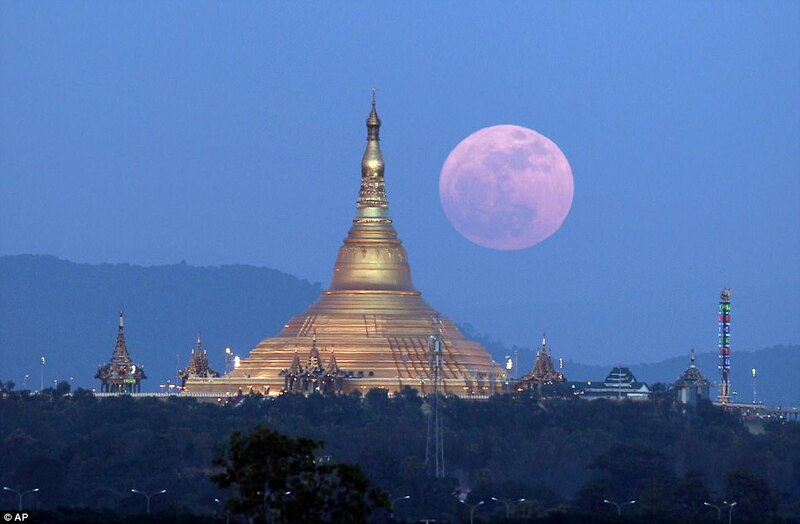 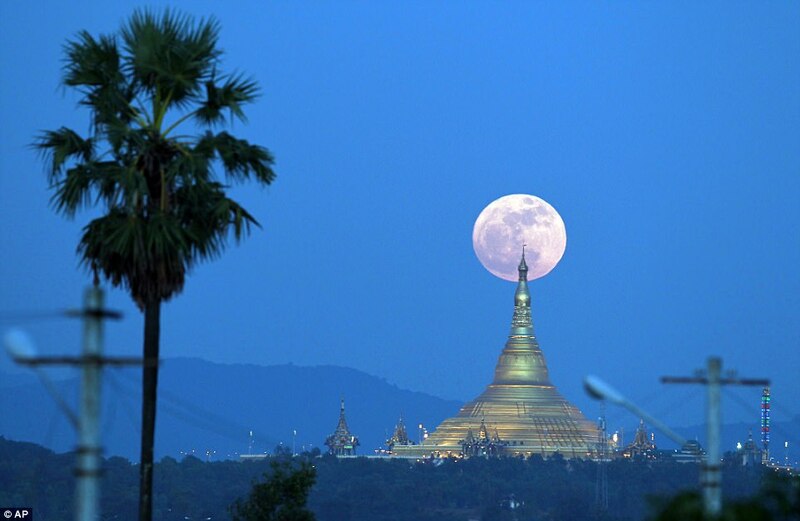 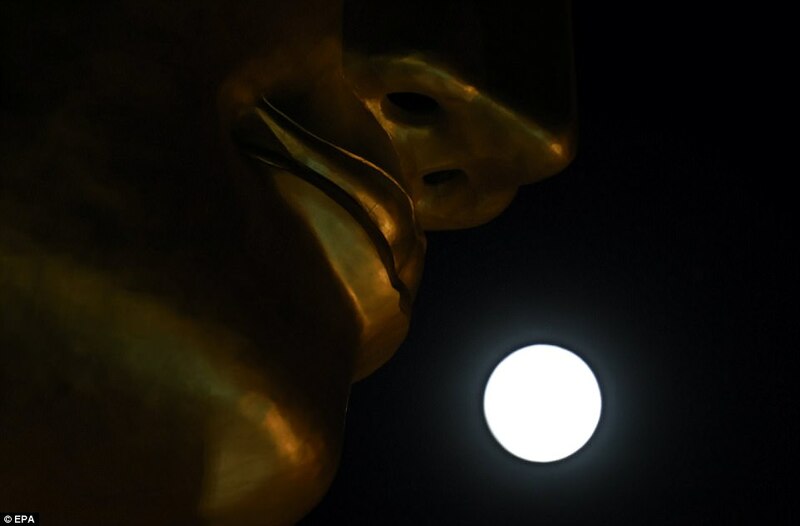 Tom Kerss, an astronomer at Royal Observatory Greenwich, said the exact moment of full moon - when the moon sits opposite the sun in the sky, which was 3.47pm (10.47am ET) today in the United Kingdom. 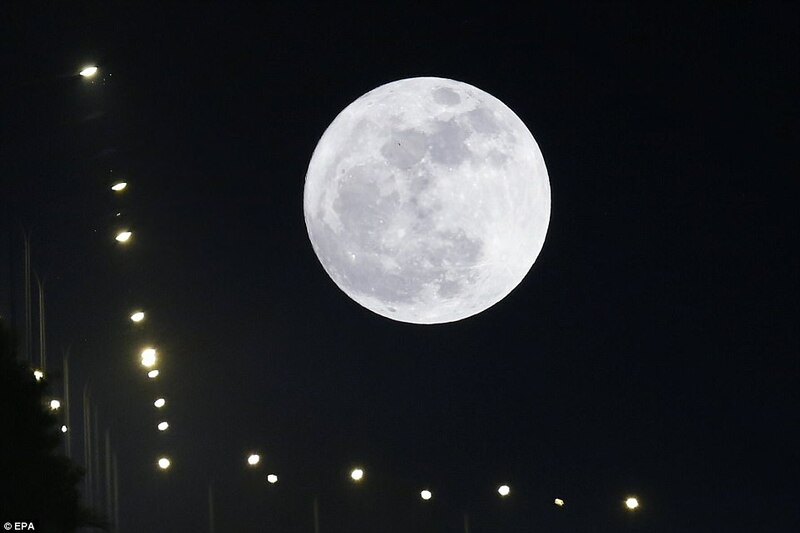 He added: 'This year's Cold Moon is closer to us than the average full moon this year; close enough to qualify as a supermoon, according to the widely accepted definition. 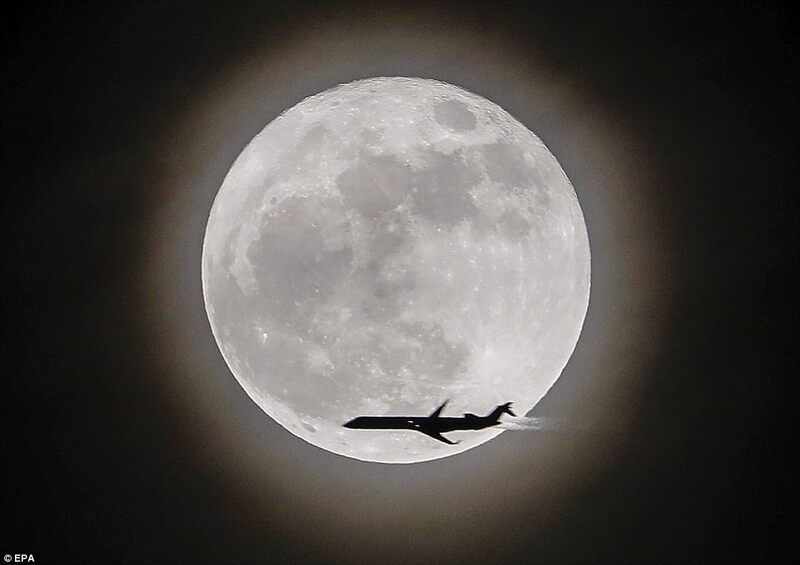 At some points it is about 5 per cent closer to Earth than average, known as perigee, and at others it is 5 per cent further away, known as apogee. 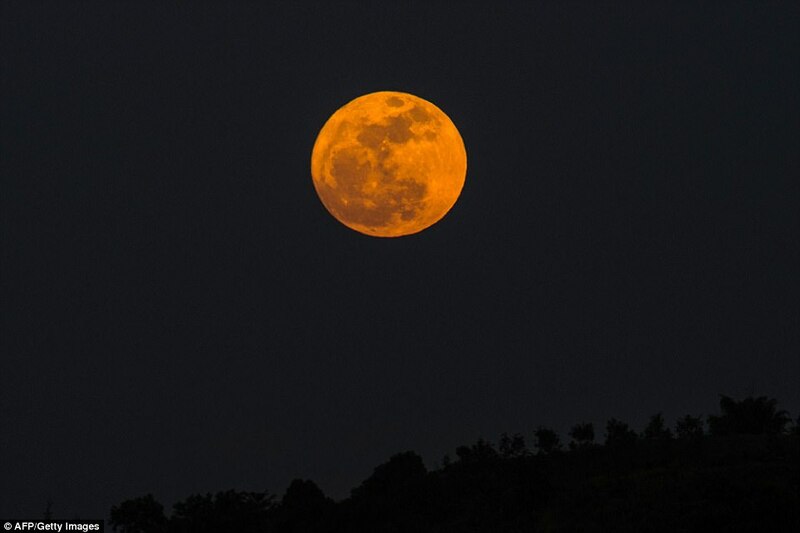 The full moon will be 222,761 miles (358,500km) from Earth, closer than its average 238,900 miles (384,500km). 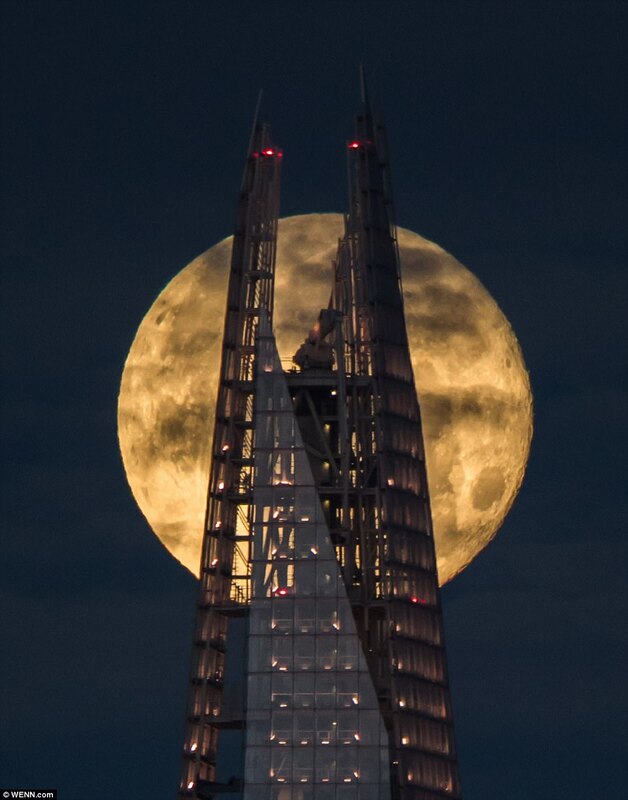 Mr Kerss said: 'During moonrise and moonset, you might think the moon looks unusually large, but this is an illusion created in the mind when it appears close to the horizon. 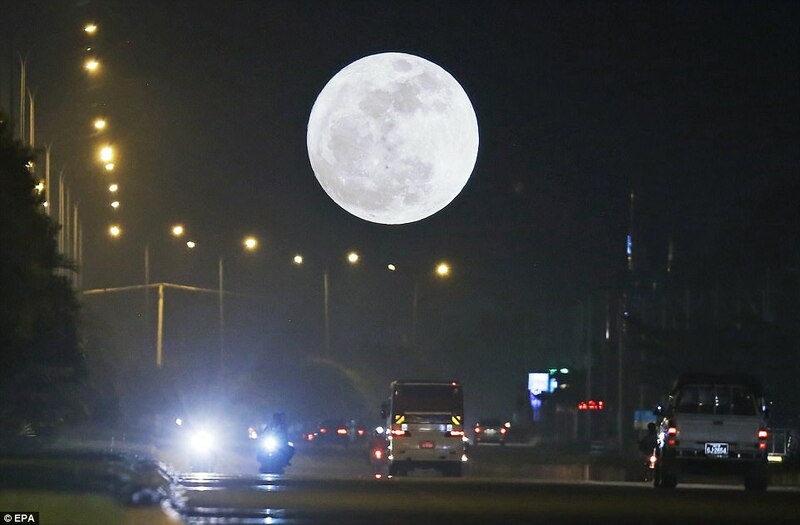 'In fact, the change in the moon's apparent size throughout its orbit is imperceptible to the unaided eye. 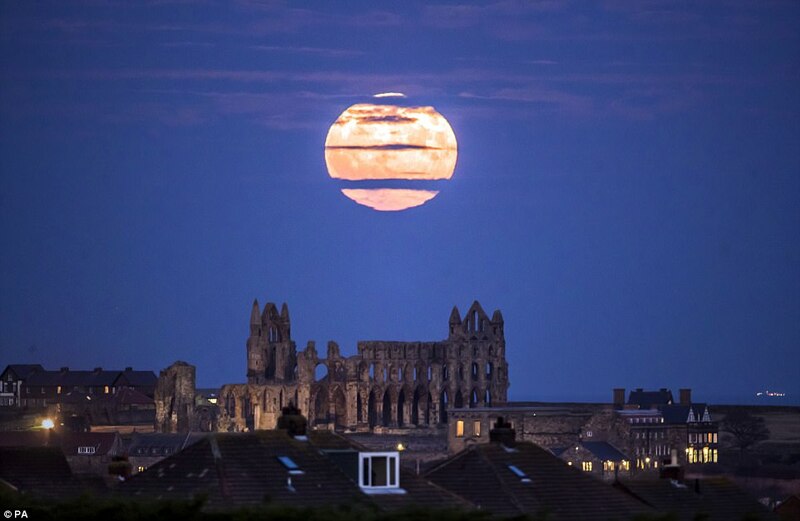 With the moon being as close to Earth as it is, there is a significant impact on the tides. 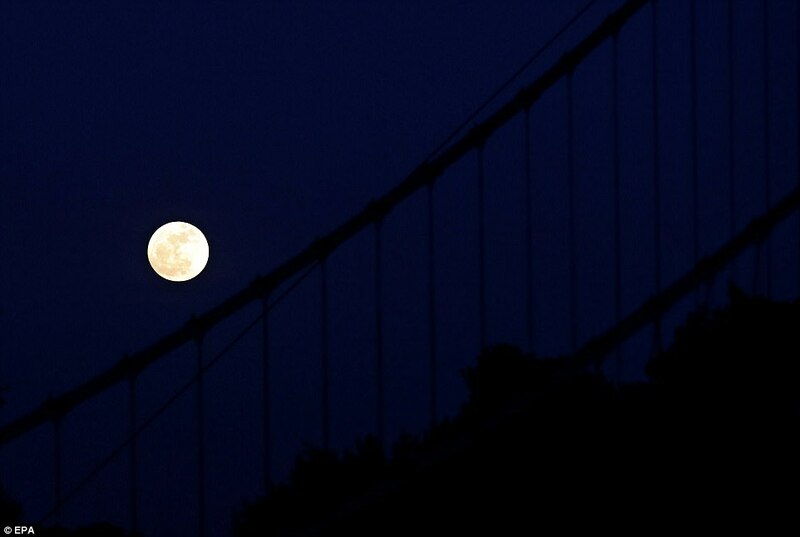 When the moon is closest, the tide will be at its highest, and the same happens with a new or full moon. 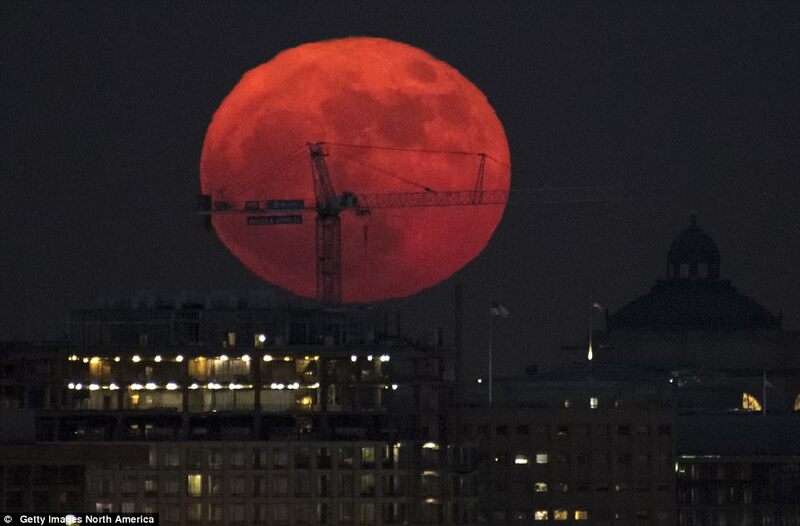 This happens on a monthly basis, but occasionally the point of perigee aligns with a new or full moon and results in a 'perigean spring tide'. 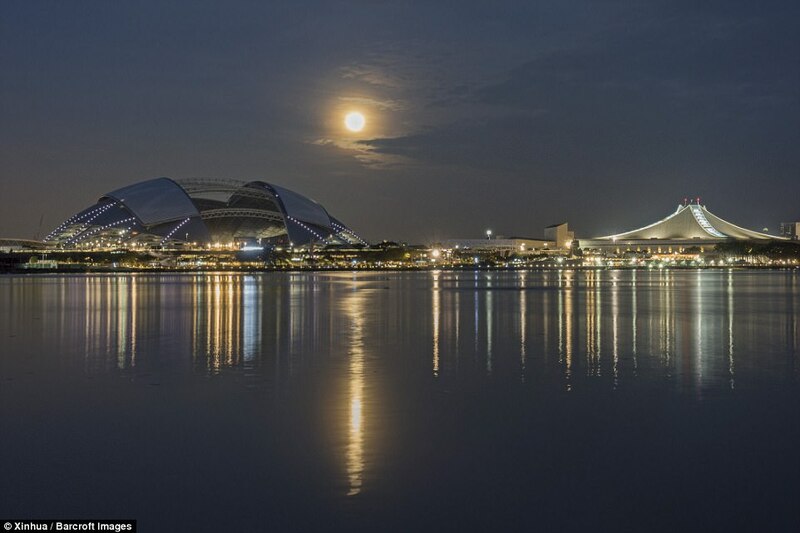 These are particularly high tides that can influence the oceans and raise sea level by a number of inches.